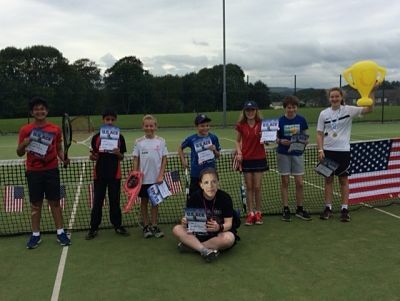 Today in the September sunshine Clitheroe became the big apple as we headed stateside for the US Open Tennis Festival. Star and striped flags and bunting hung across the nets. Courts were renamed – Fifth Avenue and Times Square. Music played, pizza and nachos were snacked on and everyone entered into the spirit of the festival- fun, friends and food! The festival was a round robin format, with timed matches of 13 minutes. Unlucky for some? We had prizes of t shirts, drink bottles and sun glasses for ‘shot of the round’ which provided a sub plot to the tournament as dives were made, knees scraped and rackets flung in pursuit of the bonus prizes. 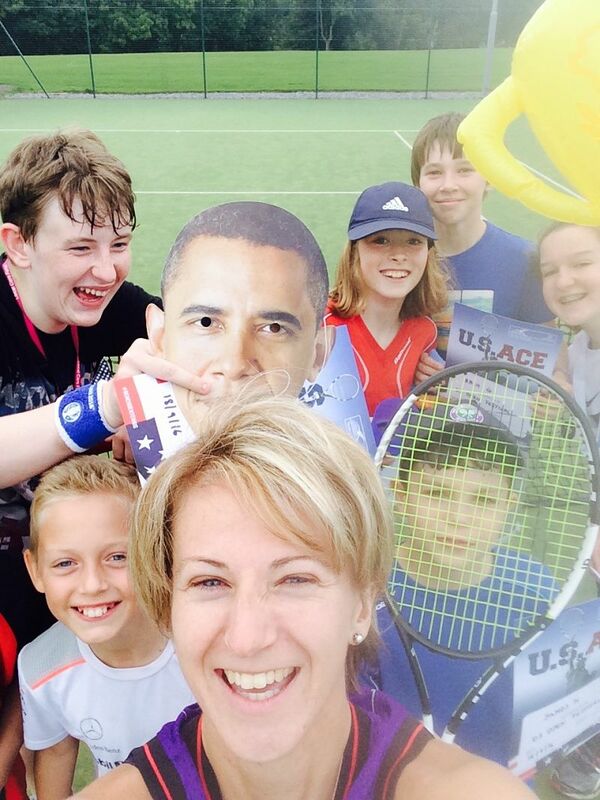 US Open Festival 2016 with special guest Barrack Obama! 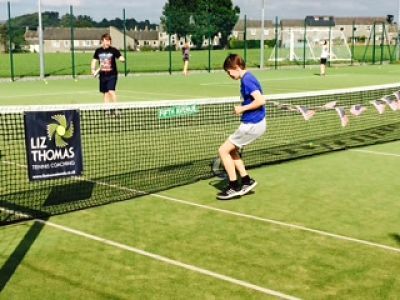 There was some super tennis on display and concentration and effort levels were a credit to all involved. Izzy P won the festival and Ariyan B was second.